This article seeks to provide clients with information and clarify questions about accessing bereavement counselling services and mental health treatment plans. Q: What is the difference between a counsellor and a psychologist? A: A key difference between a counsellor and psychologist relates to training. A qualified psychologist has (at a minimum) a university qualification and two years supervision. Psychologists study human behaviour, mental health theories and processes in order to diagnose and treat mental illness. A certified psychologist must be registered with the Australian Psychological Society (APS) to practice. A qualified counsellor has a university degree by an approved and accredited training provider, supervised placements which occur during training and a minimum required number of supervised client contact hours before practising. Counsellors are required to study and apply the same theories and evidence based therapeutic techniques as a psychologist but with greater emphasis on the holistic approach to support including the behavioural, mental, emotional, spiritual, social and cultural aspects of a person’s experience. Registered psychologists and counsellors are bound by a respective professional Code of Ethics to safeguard the client. Counsellors must be registered with the Australian Counselling Association (ACA) or Psychotherapy and Counselling Federation of Australia (PACFA) in order to practice. The title ‘counsellor’ can be used liberally by many practitioners working in the health sector but not necessarily with the formal training and appropriate qualification. Therefore, it is important to check the registration of a practitioner before you engage their services. Q: What is a Mental Health Treatment Plan? A: A plan of treatment initiated by a General Practitioner (GP) for patients diagnosed with a mental disorder. Under a Mental Health Treatment Plan, a GP can refer to eligible psychologists for up to six sessions of therapy. Q: Who is eligible for a Mental Health Treatment Plan? A: Any patient with an assessed mental disorder who may benefit from a structured approach to treatment. Mental disorder is a term used to describe a range of clinically diagnosable disorders that significantly interfere with an individual’s cognitive, emotional or social functioning. A: Psychologists providing a Medicare rebate service can set their own fee for service, but Medicare set a fixed rebate benefit. As of June 2014 the recommended (Australian Psychological Society) psychologist fee is $228. Medicare rebate benefit for a psychologist service under a mental health plan is approximately $60.10. The consumer is responsible for any gap between rebate benefit and fee. Q: Can I determine the number of sessions I attend under a Mental Health Treatment Plan? A: This will be determined by your GP. Initially, you may be granted up to six sessions before requiring a review by your GP. Q: Should I request a Mental Health Treatment Plan to receive support with my grief? A: In most cases, the response and reactions we experience after the death of someone close, as severe as they can be, are not classified as a mental disorder. However, this experience can still inhibit our ability to function as we would normally do so, and therefore early intervention and support can prevent a person’s grief from becoming more complicated. A small number of people who are bereaved will experience prolonged or complicated grief reactions which under the medical framework is classified as a mental disorder. If you have any concerns about your grief response, reactions and experience, seek clarification with a qualified bereavement counsellor. 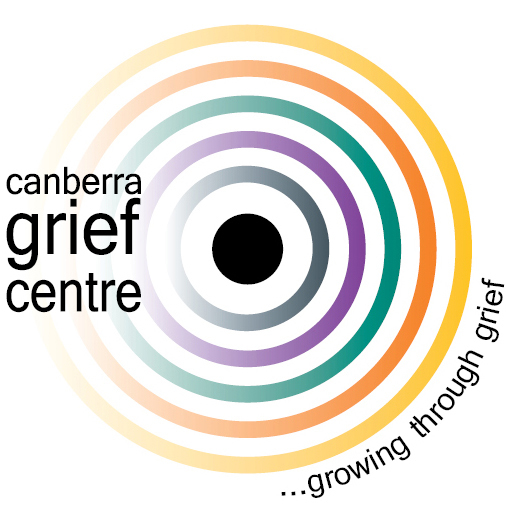 Q: Do I need a referral to access services at Canberra Grief Centre? A: No. You can contact us directly either by phone or the enquiry form available on our website. We will be responsive to your enquiry. Q: Can I determine the number of sessions I attend? A: Yes. You control the number and frequency of your visits. The counsellor will work in collaboration with you to discuss visits to ensure sessions are booked only as considered necessary by yourself and the counsellor. Q: What can I expect during a visit? A: You can expect a safe, respectful and honest level of support from our counsellors. We will work collaboratively with you to understand your grief experience and your support needs as you confront and adjust to the changes/challenges felt by your loss. The number of visits will be determined by you in consultation with the counsellor. You will not be committed to a structure of sessions. Some clients feel that after one visit they have enough understanding and coping strategies to manage without continued professional support. Others prefer 2-3 visits initially, followed by infrequent visits as required. Q: Are my visits confidential? A: Yes. As there is no requirement for a referral or Mental Health Plan, the information shared during a visit remains confidential between you and Canberra Grief Centre. During your first visit, the counsellor will explain the legal exemptions to this clause.